Year One have been learning about tens and units this week! Can you write the numbers below in your books? Remember to think carefully about the tens and units... which number comes first? Make sure your numbers are formed the right way around!! If you want to show off your knowledge of hundreds, tens and units, make up your own numbers and record them in your books! The pirates were very ___________. They had found a ______________. Inside the chest was some __________________ . The gold was ______________ and _________________. The pirates jumped for ___________ . Year 1 have started to learn about Algorithms! An algorithm is a set of instructions that you give in order to do something! Over the next 2 weeks, can you build a boat and write an Algorithm for the process? You will need to explain how someone else could make the exact same boat as you if they followed your step by step instructions! You can record this in your purple books neatly. Your boats can be as little or as big as you want, they can be made out of any materials and can be as creative as you like! We will be carrying over our Conext of 'Growing Things' in the first week we are back. 1. Can you make/build a 3D model of a garden? What would you like to put in yours? A swing, a slide? A vegetable patch? A pond? A swimming pool? A maze? Make it as fun and creative as possible! 2. Read your GGR books and complete sentences in yellow books. 3. Read as many books as possible! Whole school St David's Day Competition. All children are encouraged to cook something at home that is traditionally Welsh. There will be a first second and third prize awarded in each class! Please bring your delicious entries in by Monday 27th February at the latest. Please also ensure that the containers’ in which food is brought in is placed in a container with your child’s name and class clearly indicated. Half term homework 16th February. 1. What would you like to grow in our spring topic 'Growing Things'? Make a mind map to show your idea's! Make it colourful and draw lots of pictures! 2. Carry on completing Mathletics. 3. Year 1 Children will also be performing 2 songs in the Eiseddfod. This is a Welsh song titled 'Beth sydd yn y fasged siopa'. Please listen to this and familiarise yourself with it before coming back to School. Please find youtube link to this song below. This week I have stuck Mathletics log-in's into purple homework books. If you do not have a log in, I will find a new log in and give it to you by next week. Mathletics will now be a part of our weekly homework. I will assigned tasks to work through each week, and the results be sent directly back to me. It is important that the children use the "learn" part of Mathletics, as well as the "play". This will start as of Feb half term. 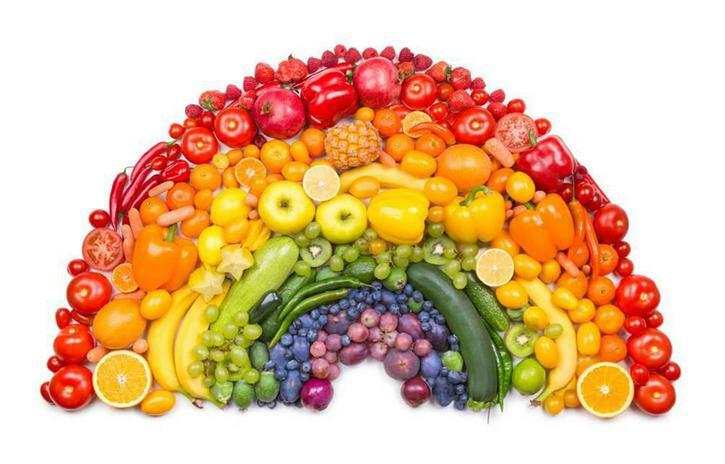 Can you create your own healthy eating rainbow? Use pictures from magazines, books, the internet or draw, paint, collage all the foods you can think of that make up the colours of the rainbow! Here is a picture to help! There are lots more on Google if you need some inspiration! Please complete this either in homework books, card or paper! Our next context is Superheroes! What do you know already know about Superheroes?! Make a mind map or bubble map writing down characters, their names and their powers! Draw pictures and colour it them in! What do you know about the number 4? Record a thinking map in your homework book. You can include number sentences that make the number, what number you can double to get it, how is it a half, what the number is made up of (tens and units), whether it's an odd or even number. Write down as much as you know! 1. Please learn Christmas Concert lines. They are printed on cards and are in homework bags. We have been learning to count amounts of money. We are all starting to recognise the value of 1p, 2p 5p and 10p coins! When adding coins together, we have been tapping each coin to remind the children of their worth e.g 5p = 5 times. How many different ways can you make the amounts below? Draw around coins in purple books! Please start with 4p and make you way through the other questions if you can! How many ways can you make 4p? 2. Please read the guided reading books and write a sentence about what you have read. I hope all the children in Year 1 have had an enjoyable first term in our classroom! 1. Can you make your own family album? This can be displayed any way you like e.g a booklet, a collage, a discovery board etc. It is up to you! You could include your own drawings or old/new photo's! You could draw pictures of the people in your family or even create a family tree. It is up to you! This will need to be returned to school by Thursday 2nd November. Please read your GGR books this week. Write a sentence about the book in the yellow books, and write a sentence explaining what is happening in the picture. Task 1: Can your draw a clock? Where do the numbers sit on the clock? Task 2: Please read your Guided Reading book and draw a picture to show what is happening in one page of the book! 1. What books do you know that end with a 'Happy ever after'? Make a mind map of all the books YOU know that end happily! Draw a small picture next to the title to symbolise the story! Task 1: Please learn the following words and write them in the Purple Homework Books. We will be having a spelling test next week. Task 2: Please write a sentence about what happens on the last page of your Guided Group Reading books and draw a picture in the Yellow Books. I am attending a course on Wednesday, Thursday and Friday of this week so please speak to Mrs Brooks if you have any questions about the homework. This week we have been practicing our number bonds to 10! Task 1: How many different ways can you make 10 using only two numbers? How many different ways can you make 20 using only two numbers? Task 2: Please read your guided reading book and draw a picture of the characters you have read about. Either label your characters with their names or write this in a full sentence.